picked up a couple of new things along the way! 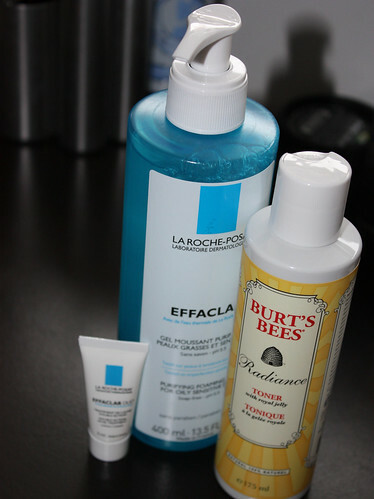 Rexall had a big fat bottle of La Roche Posay Effaclar gel cleanser (targeted towards sensitive and oily skin - cha ching!!) on offer with a mini Effaclar Duo - which you all know I love, and I ran out of - so of course I grabbed it and am excited to give it a try. It is soap free, has a very soft and clean scent, and is paraben free... like all other La Roche Posay products. Anyways will give these a whirl and report back, as always. Any new skincare purchases for you this weekend? ?